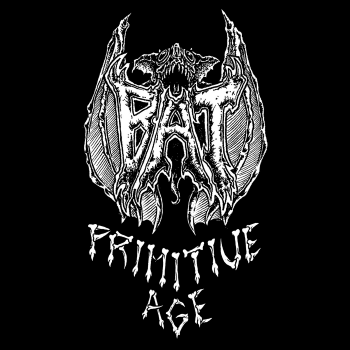 Risen from the undying influence of the early 80s speed/black/thrash wave, the primitive metal powerhouse that is BAT is here deliver nothing more than a downright neck-breaking experience with the release of their very first demo “Primitive Age”. The origins of BAT began in 2013 through the formation of three already-established musicians within the heavy metal scene: bassist/vocalist Ryan Waste and guitarist Nick Poulos are most notably known for their work with the mighty Volture, whereas drummer Felix Griffin grew to fame through his time with the legendary D.R.I from 1984 to 1990. It’s important to be aware of Griffin’s innovative drumming style; this guy is honestly one of the greatest drummers in metal history, especially in the crossover scene, and still perfectly upholds that very status to this day with BAT. Interestingly enough, all members have also performed in various bands and are no strangers to experiment with different genres of heavy metal, whether it’s traditional, thrash, death or even crossover, in an attempt to fuel their musical creativity. With BAT and “Primitive Age”, however, I felt as though their abrasive style of playing here just seemed so natural for each of them, and therefore made the experience all that more enjoyable. 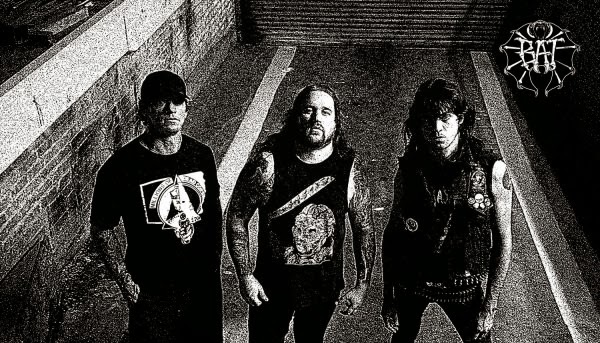 Whether it was the drive to pay homage to similar-sounding bands like Venom or Bulldozer, coupled with Waste’s love for 80s horror flicks, or not, the end result of this incredible demo is one to take note of. If I had to sum up my experience in a sentence, “Primitive Age” delivers nothing but a complete onslaught of raw, fast and gritty metal; no melodies, no fillers, just pure energy and aggressiveness…that’s all that’s needed. From the thrashing “Total Wreckage”, whose chorus reminds us of Venom‘s “Countess Bathory”, to the hauntingly compelling “Rule of the Beast”, BAT‘s music is as in-your-face and as straightforward as possible, and that’s exactly what I love about these guys. However, clocking in at just under 13 minutes, I would have wished for a more lengthy experience, but then again, “Primitive Age” merely acts as a teaser for what’s to come in the near future. Check out Ryan Waste’s excellent Heavy Metal web series “Living Fast“!